I've been natural a little over nine years and I was still getting these damaging knots in my strands. Well through trial and error plus being willing to try new things as well as new styling tools I was able to ALMOST eliminate my knots. 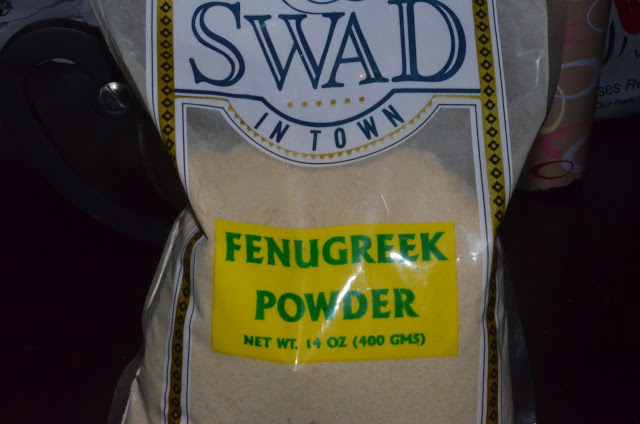 I started using Fenugreek over the last few months to decrease my hair fall, well I realized that my single strand knots were decreased as well. This powder is cheap and worth a try if you are losing hair due to abnormal shedding or knots. I very rarely recommend commercial products but these combs detangle so well I have to mention it in my post. 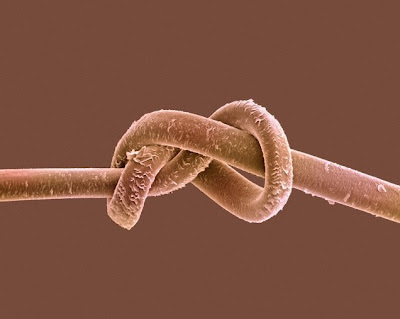 I begin to realized that maybe my finger detangling wasn't properly detangling my hair which lead to other knots forming when my hair dried. When my hair is throughly detangled, knots are few and far between. These combs are very similar to hand detangling but faster and causes less hair fall. 1st Phase - Take sections of your hair and comb the sections with an extra wide tooth comb such as the Magic Star Jumbo Rake. Depending on your hair type, a wide tooth comb can accomplish the 1st phase. 2nd Phase - After using the extra wide tooth comb, move down to a wide tooth comb. 3rd Phase - After using the wide tooth comb, move down to a medium tooth comb. For this phase, you can also use either a fine tooth tail or cutting comb. Keep in mind that tail and cutting combs come in various fine tooth sizes. Use a fine tooth comb according to your hair thickness and the section sizes you make. At this point in the 3Comb Smooth, you want the medium or fine tooth comb to glide thru your hair without much effort. Therefore, don't go too fine though unless you are working with very small and thin sections. Instead of buying 3 combs...I just bought the magic star jumbo rake and the magic lady star comb ( which is a medium/fine tooth combo). I used to wash/condition my hair then put it in a low bun to dry. Well, I eventually discovered that my hair would dry with single strand plus larger knots all through out my hair. I usually put my hair in a bun because I was in a hurry, but I paid for it latter on when I took my hair down. So I started putting my hair in braids or bantu knots to air dry instead. 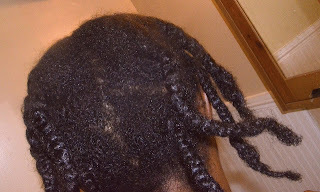 I also like to braid the upper part of my hair then twist the bottom part as well. My hair would dry in a stretch state instead of a clumped up state which was a perfect environment for knots to flourish. SO WHAT OTHER METHODS ARE YOU USING TO ELIMINATE SINGLE STRAND KNOTS? I have been wearing my hair up because it's too humid. I don't get many single strand knots and when I do, I cut them LOL. I guess, I'm over that long hair thing. At mid back, my hair takes a lot of time and if it doesn't grow longer, then so be it. I usually detangle with Queen Helene cholesterol conditioner.